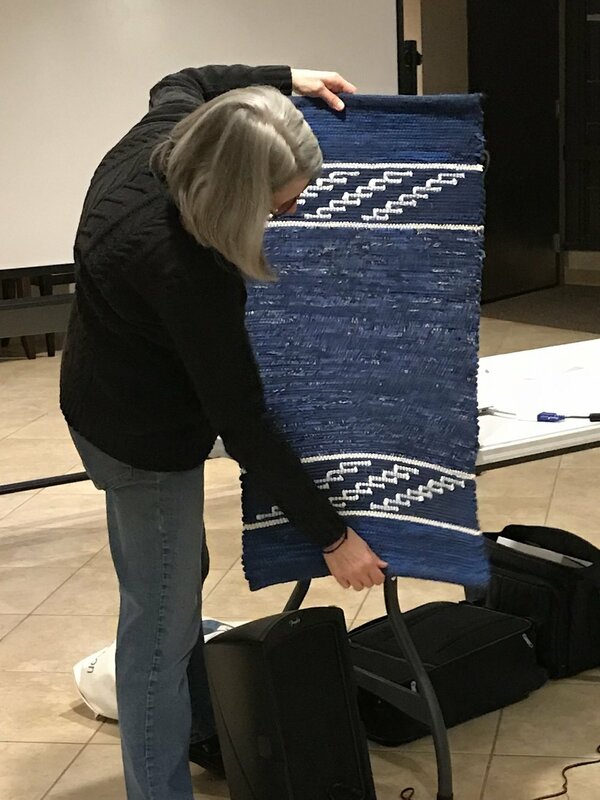 The guild is hosting Susan Conover for two exciting workshops in March. 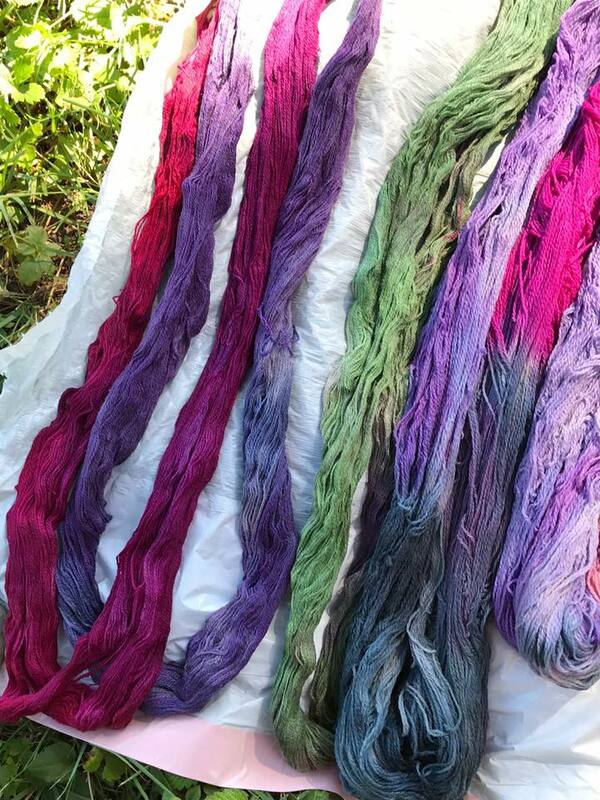 On Friday, March 15, Susan will teach a one day workshop on spinning on a great wheel. You can bring your own wheel, or Susan will also be bringing a few wheels from her collection for students to use. 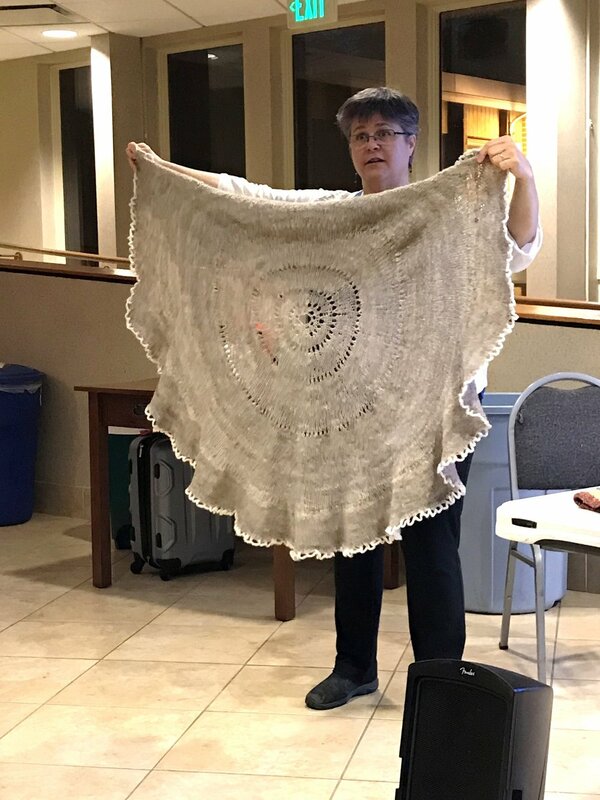 On Saturday, March 16 and Sunday, March 17, Susan will teach a two day workshop on shadow weave gamps on 4 or 8 shafts. 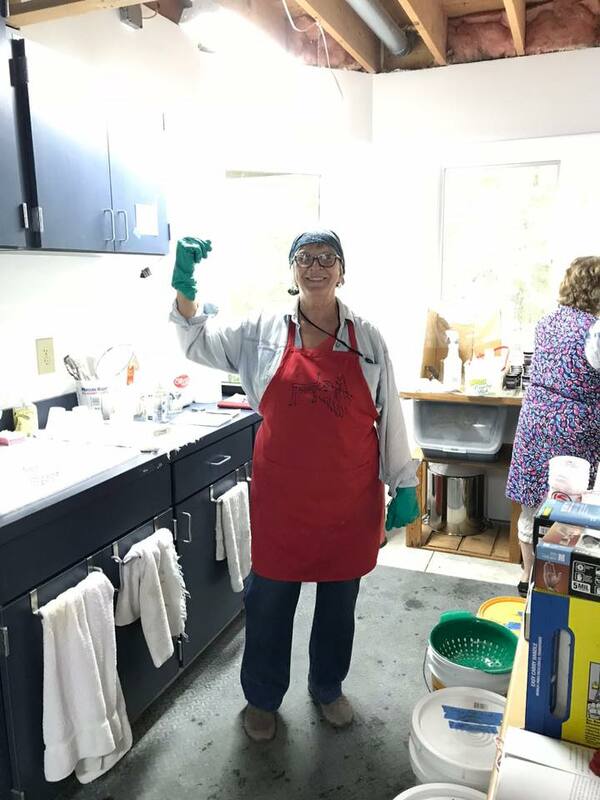 Susan is a great teacher, and everyone left last year’s workshops with new ideas, tips and tricks! 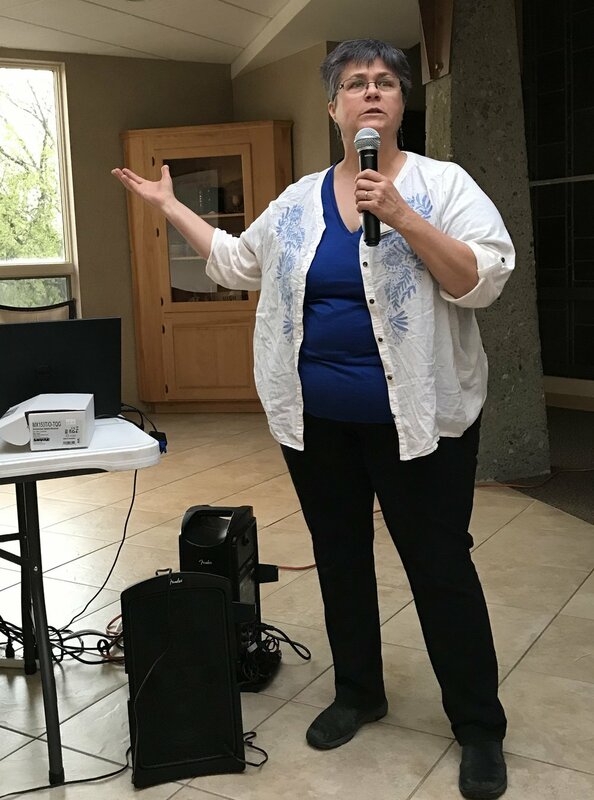 These workshops are open to non-guild members (cost is $25 additional, which includes membership in the guild through May 2020). 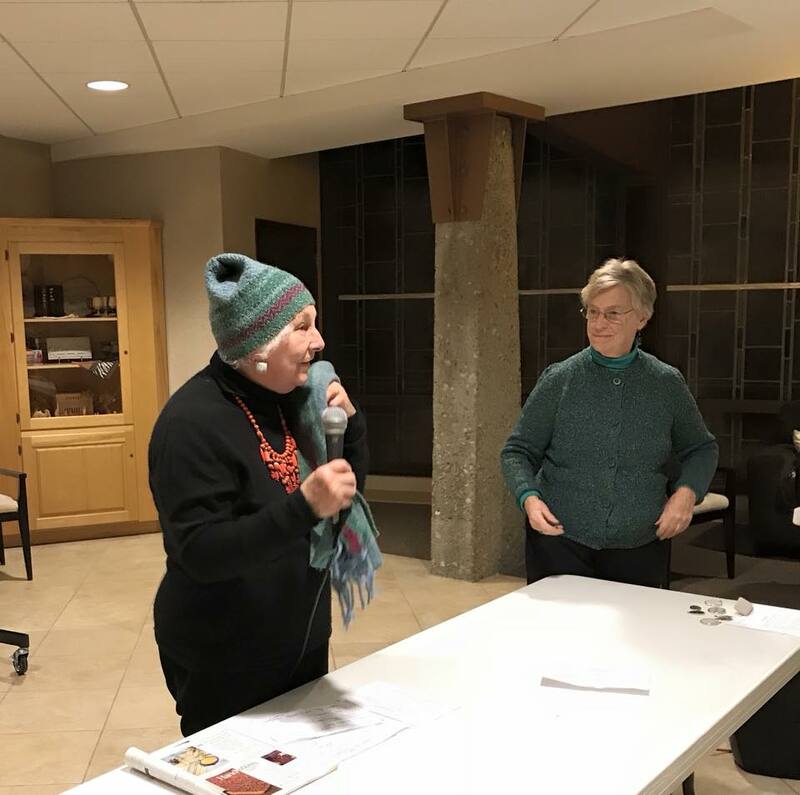 We had a fantastic February guild meeting. 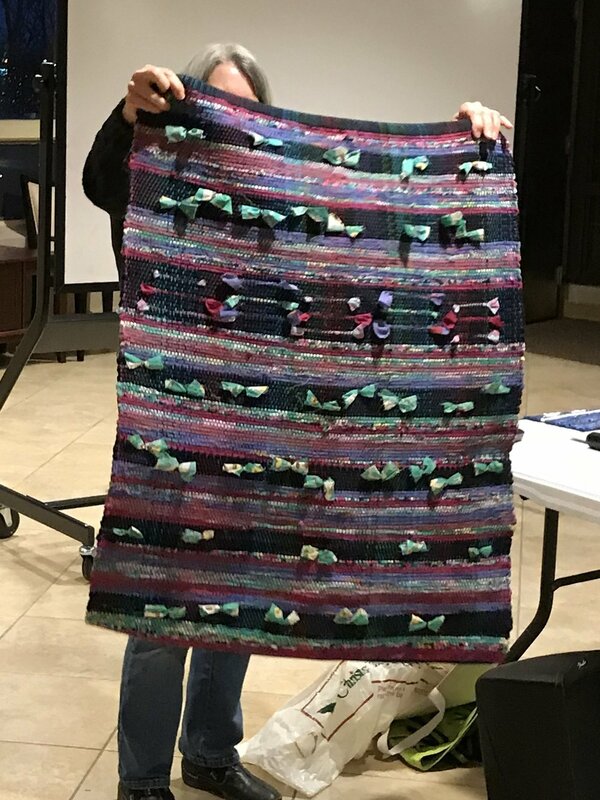 Speaker Anne Kelly introduced us to Mayan Hands, a local Fair Trade organization bringing wonderful craft items to the US and opportunity to the lives of Mayan women. Show & tell was full of inspiration. 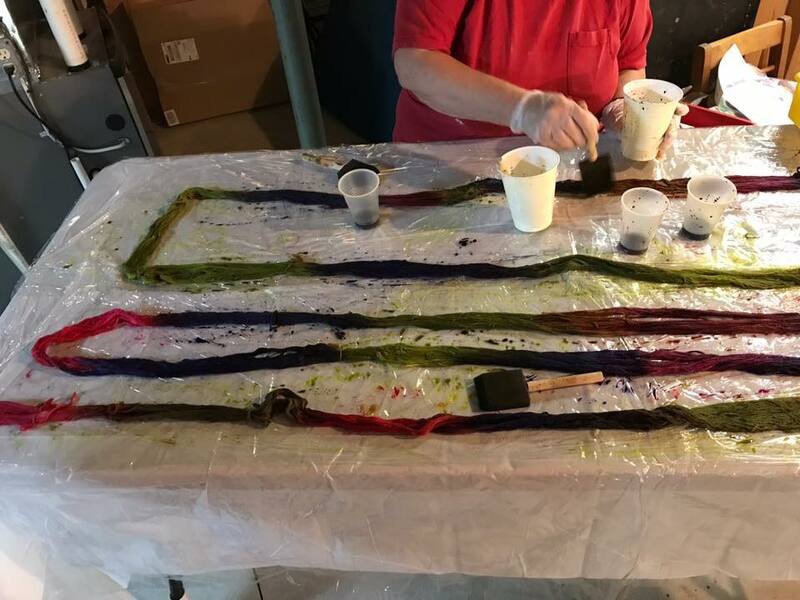 Members of the guild gathered on Sept 10, 2016, at Mary Ellen Singer's house for a dye day led by Pat Bohrer. Much fun was had by all. formed in 1972, by Peggy Wilkins and some of her weaving friends and a few sessions were held on Peggy's front porch. An organizational meeting was held February 24, 1972 and dues were set at $3.00. 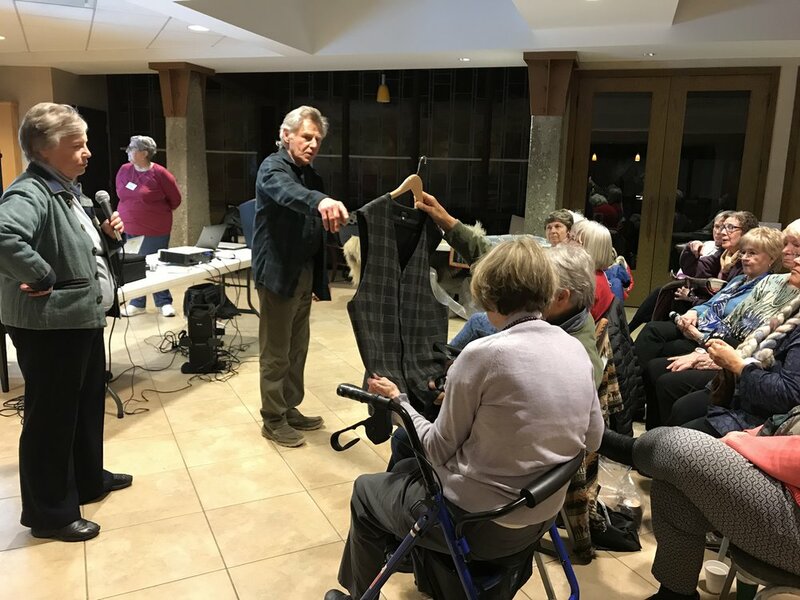 The group thrived and met monthly at various locations including a bank community room and members' homes while trying to locate a permanent home. shared with the Guild membership at large. So what does a cotton yarn called 8/2 really mean? 8400 yards divided by 2 = 4200 yards per pound. 8/2 yarn and a 20/3 yarn is quite a different matter. referred to as woolen or worsted. 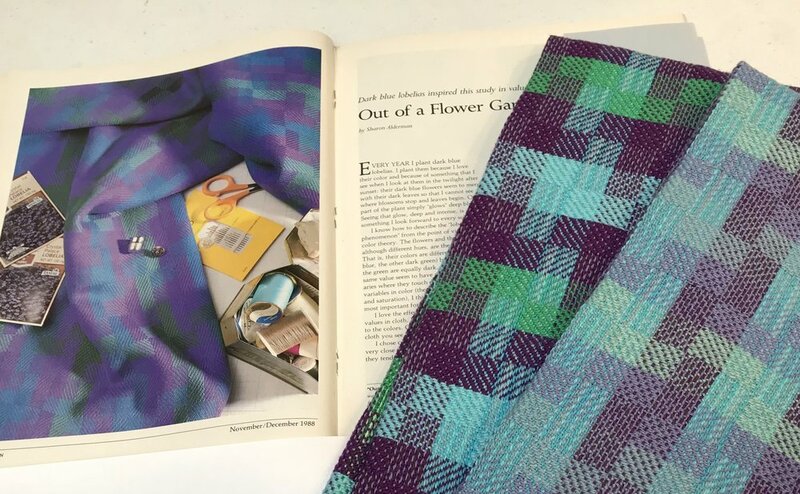 Traditionally the woolen method which is a carded preparation was used by knitters and is usually spun with less twist and therefore has a softer hand. 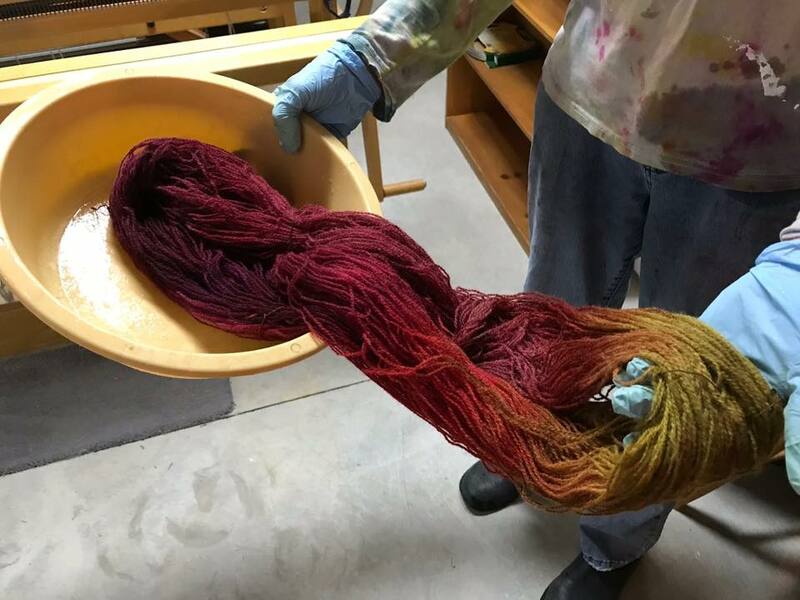 The worsted system in which wool is combed and not carded is a weaving style yarn with higher twist and has a less soft hand than woolen yarns. 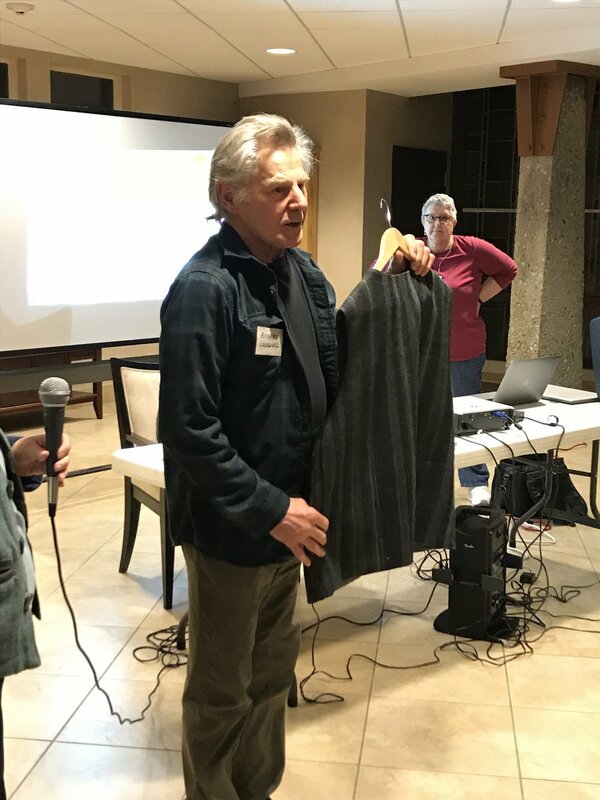 Within the confines of the United States worsted wool mills to avoid confusion with the cotton standard altered the yarn count numbering system. 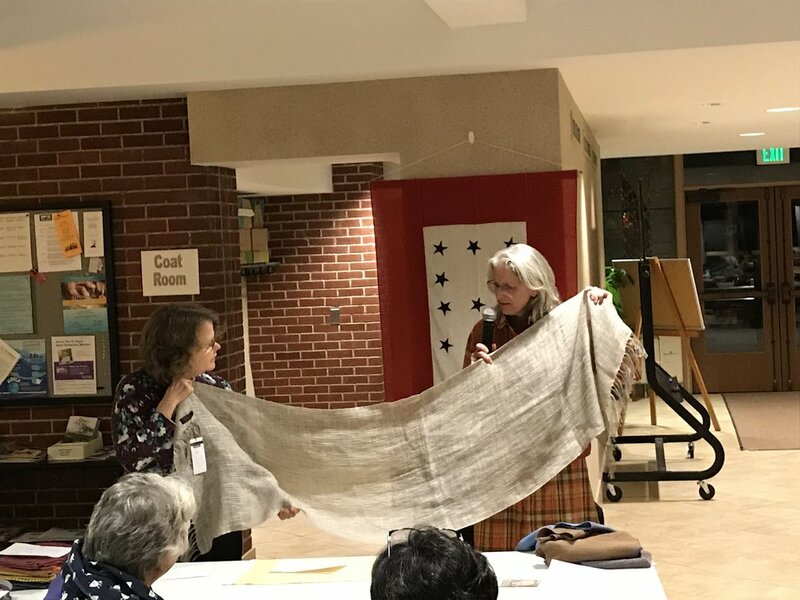 An 8/2 cotton yarn and a 2/8 wool yarn are about the same size but the inversion of the numbers, ply being indicated first and the yarn size following, was to indicated that the yarn the weaver had in his/her hand was wool and not cotton. Hopefully this information clears up the question or better yet creates more questions. Copyright 2013. Do not reproduce without permission. 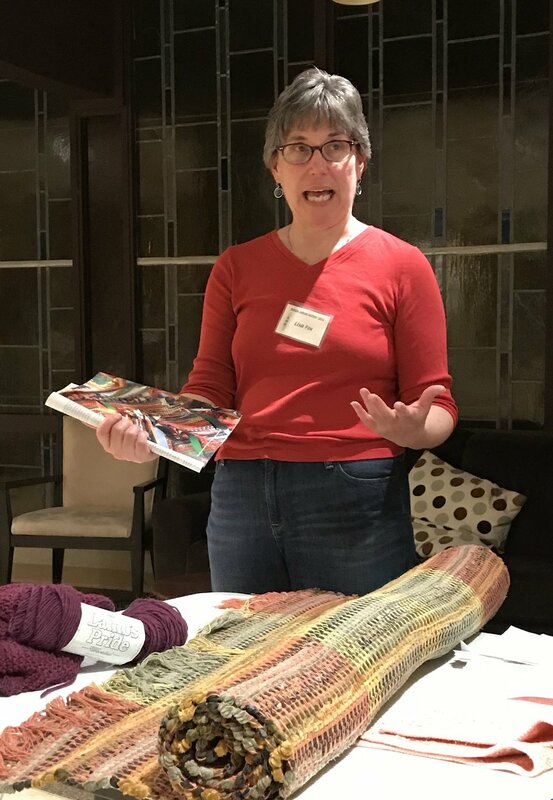 Check out the Speed Warping booklet, written by past guild member Janet Nyquist and published by the guild. The booklet is typically available for sale at the Show & Sale each fall.